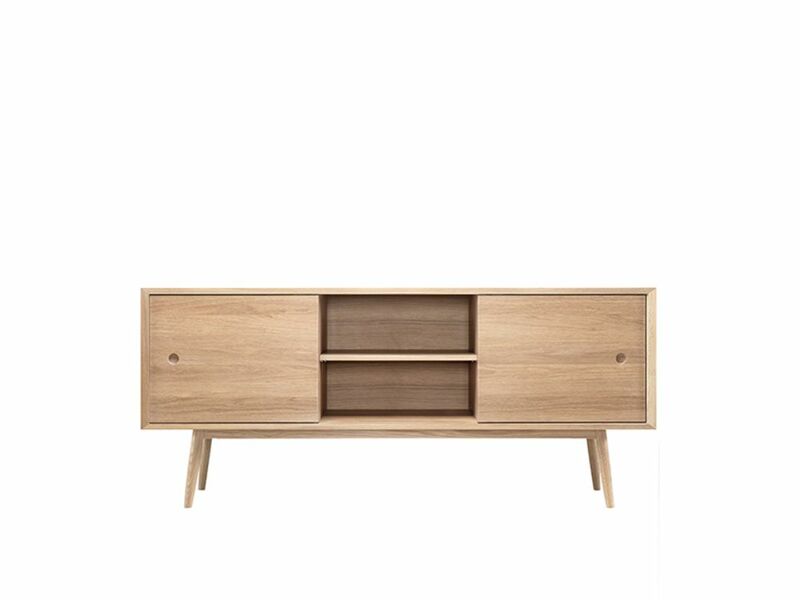 Solid wood sideboard with three compartments and adjustable shelves, a good solution to be used as media unit or cupboard. "Wewood has a multidisciplinary work team, which is constituted by professionals of areas as architecture and interior design, incorporating the research and development office. this team develops and coordinates studies and furniture design projects. Wewood's professionals ensure high quality services that combine the aesthetic importance and comfort. Without neglecting the functionality. They accompany all furniture phases, since the previous study until the production. In our pieces, we always try to combine the designer's sensitivity with the interaction between human/ object, so that we can meet needs of each one."